Thank you for registering for this year’s Cathay Ball! Online registration is now closed. We are happy to accept on-site registrations. However, please note that only duo of Beef and Salmon will be served for on-site registrations. For any registration enquiries, please email rhondalam@monsheong.org or call 905-883-9288 ext. 2703. 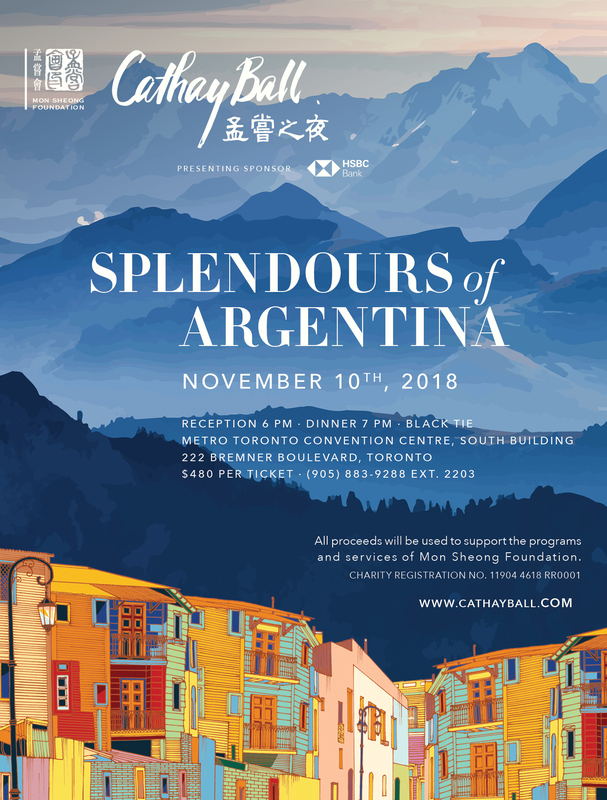 Feel the sensual flavours of Argentina at South Building of Metro Toronto Convention Centre on November 10th. We are introducing two Best Dressed Awards this year, so remember to dress to impress! Looking forward to seeing you on November 10th!